Durham has MERIT. This acronym stands for Medicine, Education, Research, Industry, and Technology. 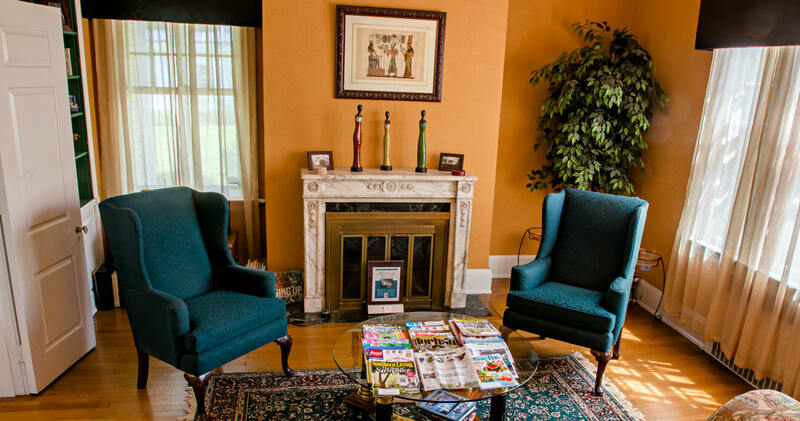 Durham city is the heart of Durham county and home to Morehead Manor Bed and Breakfast. We are the #1 black-owned bed and breakfast in America (according to Black Enterprise magazine). Did you know that nearly 1 in 3 people in Durham work in a health-related field? In fact, Durham has six modern hospitals including the world renown Duke University Hospital and Medical Center. Durham offers incredible medical care and advanced treatment options. Durham is home to both Duke University and North Carolina Central University (NCCU). Did you know that the first publicly supported liberal arts college for African Americans in the country is NCCU? To this day, this university carries on the legacy of training new leaders for the future of our world. Durham is also home to two distinguished high schools, the North Carolina School for Science and Math and well as the Durham School of the Arts. Durham is part of the Research Triangle Park which is the leading and largest high tech research and science park in North America. Founded in 1959, this 7,000-acre namesake for the triangle region (Durham, Raleigh, and Chapel Hill) is 2 miles wide and 8 miles across. It is affiliated with 3 major research universities: Duke University, University of North Carolina in Chapel Hill, and North Carolina State University in Raleigh which have leading professors, scholars, researchers, and writers. As a leader in industry, Durham was named one of the best places to start a career in. In addition to the innovative research happening in this area, there are plenty of entrepreneurs. Named the “Tastiest Town in the South”, there are dozens of acclaimed restaurants, eateries, and food trucks in Durham. Durham also named the small city with the second most economic potential in America. There are plenty of artists, musicians, and other creative people who help add to Durham’s unique and welcoming community of passionate people. In fact, Morehead Manor is within walking distance to one of the most popular theaters in the country: the Durham Performing Arts Center (DPAC) which offers Broadway plays and features famous entertainers. Durham is home to leading tech companies including IBM, Cree, and more. Not to mention near the Biomanufacturing Research Institute and Technology Enterprise (BRITE). In fact, Durham was named America’s 8th leading high-tech metro. 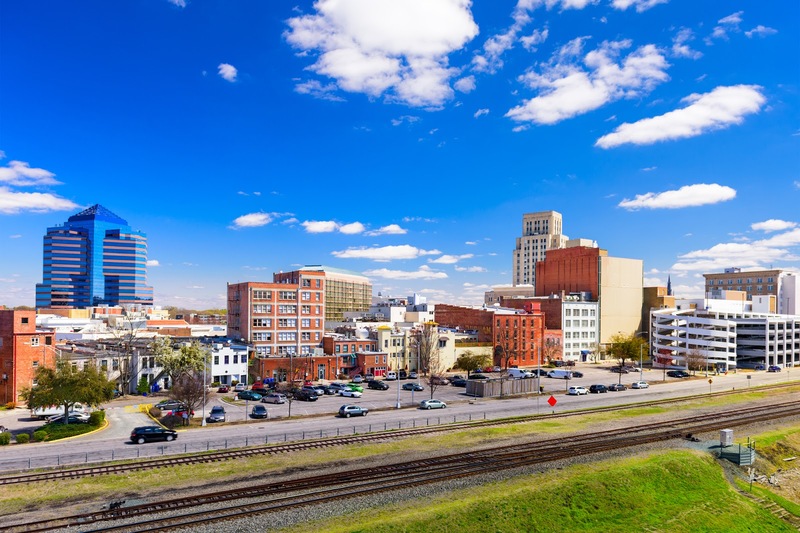 Our friendly and energetic Bull City is full of fun things to do. Guests come to Durham for a variety of reasons including our food, music, entertainment, colleges, science, medicine, and technology. There are also incredible shopping opportunities as well as museums and historical sites. We invite you to stay as our guest. We appreciate our guests and prepare complimentary fresh gourmet breakfasts each morning. This entry was posted in Durham and tagged Durham, Durham Performing Arts Center, education, entertainment, hospitals, industry, medicine, MERIT, research, Research Triangle Park, technology, universities by admin. Bookmark the permalink.